Arts & Crafts usually takes place in the Activity Center, some refer to as the Pottery Barn. 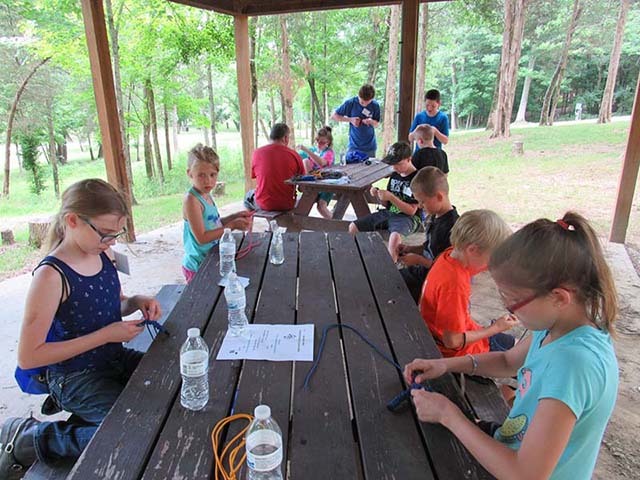 We also have special instructors come in periodically to conduct Science experiments, and Robotic and Engineering projects for our campers to enjoy. Our Arts & Crafts program brings out camper’s creative potential. All our Arts & Crafts projects are related to the theme of the day/week and vary in difficulty depending on the age of the camper.